Extra informatie Rouse Aluminium Tipper Body for 8 Wheeler Tipper for sale, insulated aluminium body, Will fit 8 Wheeler Truck. Year 2003. This tipping body came off a Scania, The dimensions of this tipper body are 6.35M (20.83ft) Long x 1.2M (3.93ft) Deep x 2.29M (7.51ft) Wide It is complete with split tail door, fitted with Mudguards, Lights and Reflector Markings installed on tail door. Rouse Tipper body is insulated making it very suitbale for tarmac, tipper can also be used for stone or sand along with tarmac. Aluminium Rouse Tipper Body in very good condition and clean as shown in images. Ready for installing. Transport or Shippping can be arranged worldwide. Please inquire for more photos and details on the is aluminium tipper body. Only €3,500. Selection of Trucks and Machinery always in stock, Please enquiry for pricing. For more information on the Rouse tipper body and all other machinery available in stock please contact us. View the YouTube video of the Aluminium Rouse Tipper Body in our yard here at Ballytrain Plant by viewing our Youtube Channel. 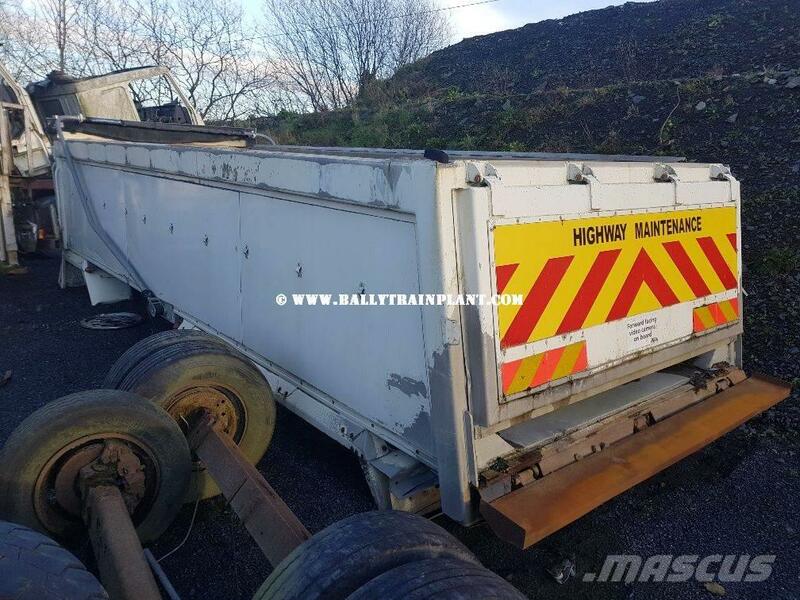 Op Mascus BE kunt u [Other] Rouse Aluminium Tipper Body 8 Wheeler Tipper €3,50 kipper vinden. De prijs van deze [Other] Rouse Aluminium Tipper Body 8 Wheeler Tipper €3,50 is 3 500 € en is gemaakt in 2003. Deze occasie staat in - Verenigd Koninkrijk. Op Mascus.be kunt u [Other] Rouse Aluminium Tipper Body 8 Wheeler Tipper €3,50 vinden en nog veel meer modellen van kipper.